How to convert XPS to PDF from a Windows GUI application? How to automatically convert XPS to PDF from command line? How to batch convert XPS to PDF? How to convert XPS to PDF with a script? 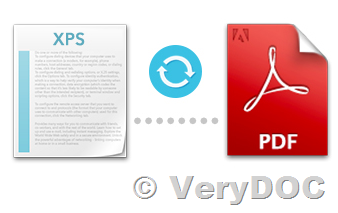 How to convert XPS to PDF from your own software? How to print XPS to PDF? How to print the XPS file to Any Windows Printer from Command Line or SDK? How to convert from PDF file back to XPS? Both XPS (XML Paper Specification XPS, Open XML Paper Specification, OXPS) and PDF (Portable Document Format) formats are used to produce and share finalized documents: resumes, newsletters, invoices, legal documents, financial reports, tax returns and other types of documents. XPS (OXPS) format was meant to replace PDF as a universal standard for documents, but as for now PDF seems to have won this digital war. Though both formats have pretty much the same functionality, XPS format, compared to PDF, seems to be almost dead in the water. If your colleague or friend receives an XPS file from you, they might find it difficult to open or even consider it as malware. It is possible to convert XPS to PDF in a variety of ways: using offline desktop applications (manually, automatically or in batch mode), using command line interface (CLI), a virtual printer or a script file. 1. 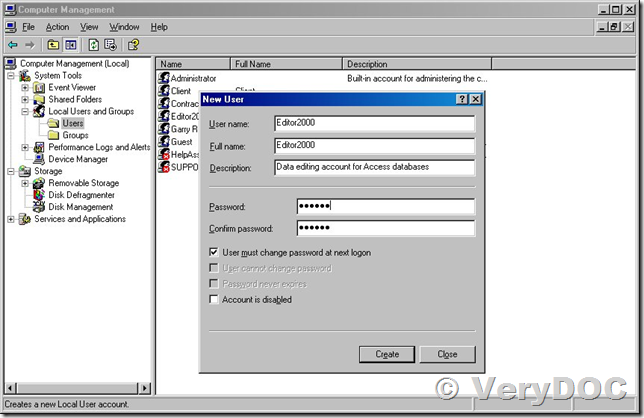 How to convert XPS to PDF from a Windows GUI application? 2. How to automatically convert XPS to PDF from command line? 3. How to batch convert XPS to PDF? for /r D:\test %F in (*.xps) do "xps2pdf.exe" "%F" "%~dpnF.pdf"
for %F IN (D:\test\*.xps) DO "xps2pdf.exe" "%F" "%~dpnF.pdf"
4. How to convert XPS to PDF with a script? You can call "VeryPDF XPS to Any Converter Command Line (xps2pdf.exe)" or "VeryDOC XPS to PDF Converter Command Line (xps2pdf.exe)" from your script or your own software to batch convert from XPS files to PDF files easily. 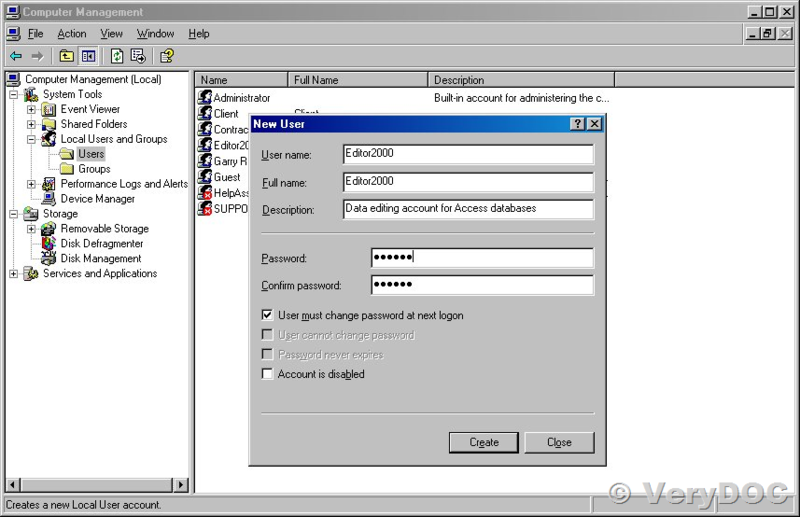 Command line interface lets system administrators and advanced users can take xps2pdf.exe into use and adapt it to their company's IT structure. For example, you can call xps2pdf.exe from the Windows Task Scheduler, from a batch, cmd or VBScript file. This allows to have your XPS documents changed to PDF without your presence - conversion will be scripted and/or scheduled. 5. How to convert XPS to PDF from your own software? 6. How to print XPS to PDF? A simple way to convert XPS files is using a virtual printer instead of using a converter to PDF. If you don't have any virtual printer installed yet, try using VeryPDF Document Converter (docPrint Pro). 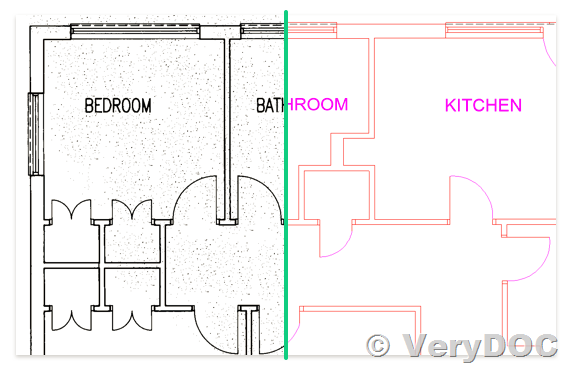 It can save your XPS to PDF, which can be later printed on a regular printer, if necessary. 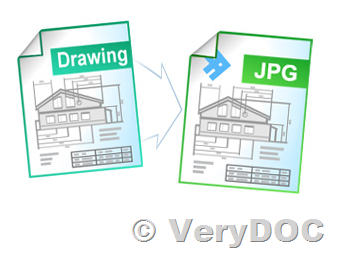 VeryPDF Document Converter (docPrint Pro) can also save your XPS file as an image file - BMP, DCX, GIF, JPEG, PCX, PNG or TIFF. The instruction below lets you converting files one by one, however, you can also set up batch conversion to PDF to process multiple files pretty fast. 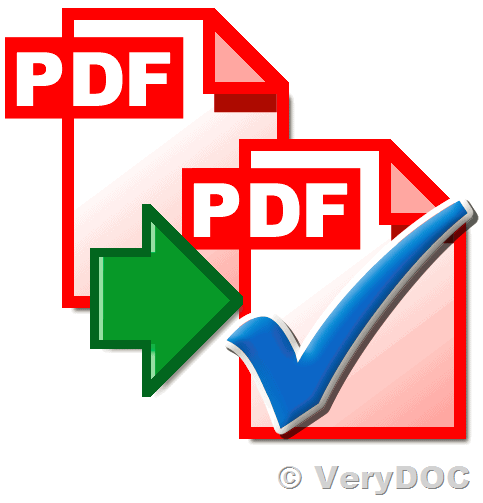 Download and install VeryPDF Document Converter (docPrint Pro) from this web page first. * Open an XPS file you want to convert to PDF. * Click "File" > "Print". 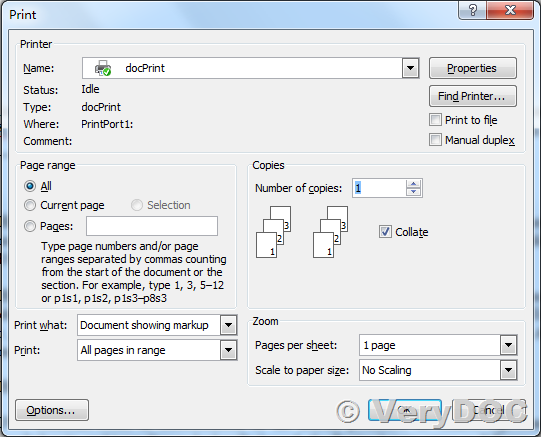 * Select docPrint or docPrint PDF Driver as printer and click "Print", you will able to save to PDF file easily. 7. How to print the XPS file to Any Windows Printer from Command Line or SDK? 8. 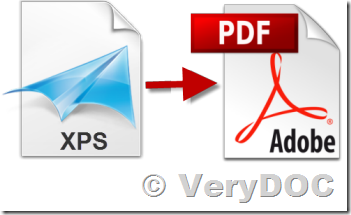 How to convert from PDF file back to XPS? Should you have any questions or issues related to converting from XPS to PDF or vice versa, please don't hesitate to contact us. Or if you know some tips or other ways we didn't mention here, please let us know (http://support.verypdf.com/open.php )! We will update this article. Hello! Your PDF to PDF/A Converter Tool works well but we have one problem with PDF-Fields (author, producer, creator, subject). We have tried to use these parameters but the edited PDF has no data in these fields! 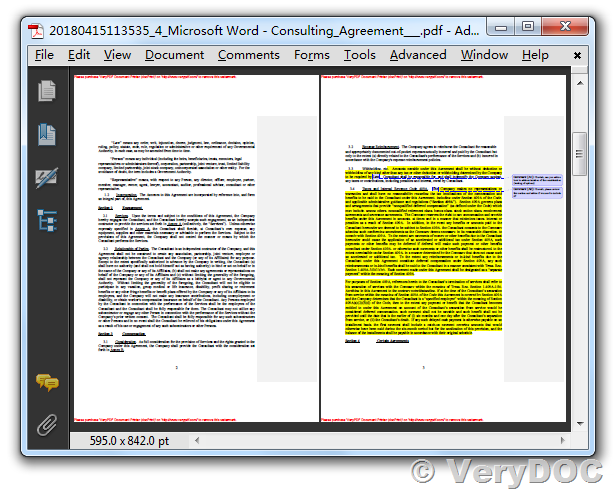 In general, "-mode 2" works best, you can always use "-mode 2" option to convert all of your PDF files to PDF/A files. 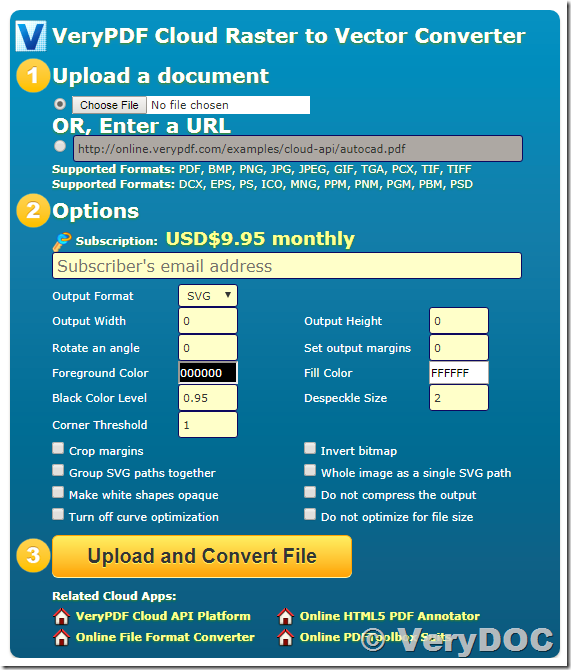 -quick : convert PDF to PDF/A by quick mode, same as "-mode 1"
-mode <int> : convert PDF to PDF/A by various modes, e.g, 0, 1, 2, 22, 4, etc. -openaction "FitBH" or -openaction "50"
-openaction "50" means display pages with magnification=50%. We have some customers who often ask us about how to intercept and capture the print jobs from Windows printer, save them to PDF or text or image files and then continue the printing, yes, this is a good question, VeryPDF docPrint Pro is a good software to implement this function, it can capture all print jobs, save them to various document formats, and then execute the printing continue. I wish to intercept print jobs, read who they are from etc., and then only print them, if the program wants to. Is there any documents or samples on doing such a thing, if so can some one point me to them, or give me a sample below? Something on the pc prints (e.g. 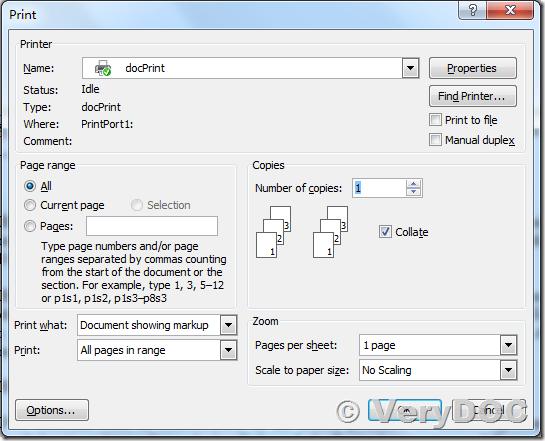 notepad), the program intercepts the print job (it does not get printed), if the program determines if the print job is worthy of being printed, then it will be printed. pause them if they are new, read information about them, e.g. pages, paper size (have not figured out paper size yet), if they are to be printed, un-pause them, else cancel them. This is not the best way, as i have to make the program auto close the print job window, if it is opened. Because un-pausing a print job, even for part of a second, lets the whole print job get to the printer. How to Intercept Printer Data? Could anybody tell me how can I create a small driver to intercept and capture information being sent to the printer and instead write it to a file? Is there a way to monitor the print queue (before it gets to the print queue) and make sure that a particular user is only printing specified number of copy of a document? I want to find out how many copies of printout particular user had taken to maintain a record of this. How can I do that using Java Code or any other programing language? How capture printer data before print, parsing and edit the data then send it to printer? Any C# sample would be great. I'm looking for source code or sample that get printer data before print (capture printer output) put it in variable and change some values then print it in form. Any idea how to get data and put it into variable for special purpose? 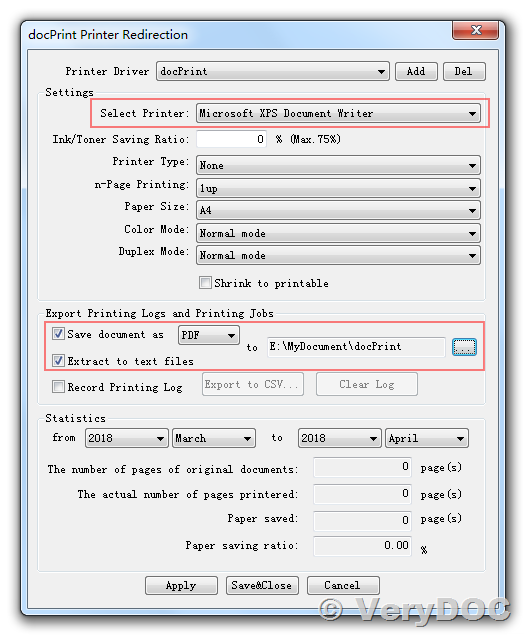 You can select a target printer (forwarded printer) first, for example, you can choose "Microsoft XPS Document Writer" for test purpose, if you print documents to docPrint, docPrint will forward the print jobs to "Microsoft XPS Document Writer", you will get XPS files automatically. 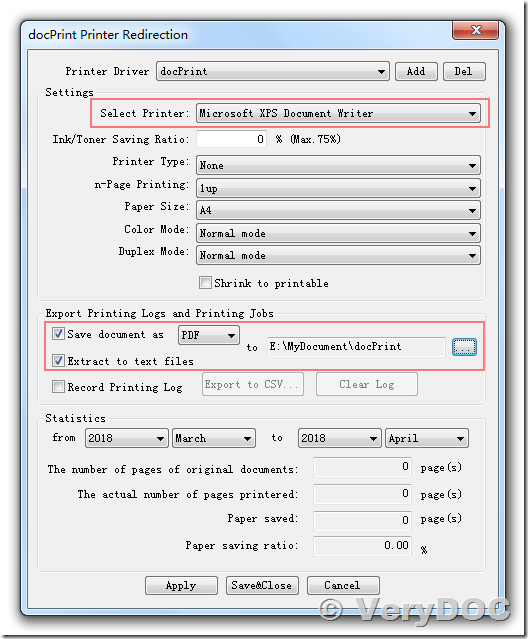 If you want to get the PDF and Text files for each captured print job, you need to check "Save document as PDF" and "Extract to text files" two options. OK, You can click "Save & Close" button to close this dialog. 4. Now, you can run MS Word application or other applications for printing purpose, you can open a Word document in MS Word application, print it to docPrint virtual printer, you will get a PDF file and a plain text file in predefined folder and also get a XPS file automatically. You will also get a text file in the same folder, the text filename is "20180415113535_4_Microsoft Word - Original Filename.txt", this text file has same layout with original Word document and PDF file. 5. Everything is fine now. We suggest you may download the trial version of docPrint Pro v8.0 to try, if you encounter any problem with it, please feel free to let us know, we are glad to assist you asap. Using command line "doc2any.exe to convert DOCX files to PDFs" Conversion work properly when done with a user-interactive session. When this is run as a schedule job header information does not convert over to the PDF. I don't see an answer to my problem in these pages. Trying to run this conversion as a scheduled job where it simply converts all DOCX files in a folder to PDF, configured to run as a specific user account. 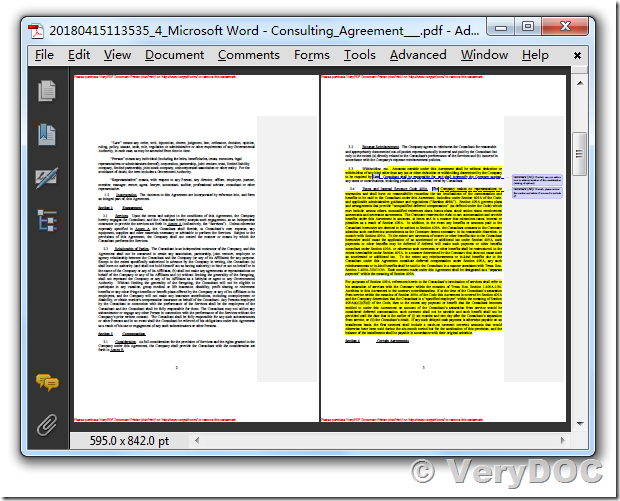 When script is run logged on as that user interactively the conversion works properly, when run as a scheduled job, as the same user, but not logged on interactively, the conversion runs successfully, but the MSWord doc header does not show up in the PDF and the formatting is messed up. Almost like it was converting to a RTF and then to a PDF. The schedule job is being run "with highest privileges". OS - Server 2016. Yes, I understand this problem, because MS Word can't be run inside the system user account, you have to run it inside an interactive user account in order to convert from Word documents to PDF files properly. <command> (optional) is the command line to execute as the specified user.